As a mother, you may have thought about babywearing. Some of you may be thinking baby what? Let’s start with defining babywearing. The term “babywearing” means carrying a baby using some sort of sling or other sort of baby carrier. Using a baby carrier can make it easier and more comfortable for parents and other caregivers to hold their baby while managing all of the other tasks of parenthood. It has also been shown that when using a sling or carrier your baby cries less. Research has shown that when a baby is in a carrier, they can be close to you, and as a result feel safe, secure and happy. If you or your nanny need help learning to use a new carrier or sling, first review the instructions that came with it. Secondly, check the internet. These days you can even check if YouTube has a helpful “how-to” video. If you still need help, contact the store where you purchased the sling or carrier and see if they can give you some in-person help. 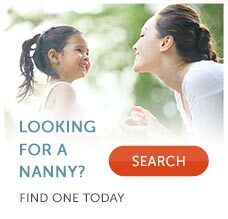 Sometimes local mom resource centers even have “sling clinics” to teach you all about all of the different ways you may wear a baby carrier. There are so many wonderful benefits to babywearing. By wearing your baby, or having your nanny wear your baby, your baby is benefiting sensually on many levels. Your baby will be soothed by your movements, voice, the sound of your heart beat, breathing and constant touch, as well as being able to see what you see instead of being in a stroller or crib staring up at the ceiling. Wearing your baby at this level can also improve their ability to identify faces, gestures, expressions and other non-verbal communication. Babies who are worn in a carrier or sling become attuned with you or your nanny’s movement, which actually supports their nervous system. This attunement helps your baby develop a secure attachment. This type of stimulation encourages healthy attachment and regulation. The opposite is true in some ways as well. Baby wearing can actually help you to identify your baby’s cues more easily, which actually makes you a better parent and your nanny a better nanny! This is a practice that affects both you and your baby on a chemical level. It’s important to speak to your nanny about safety issues related to babywearing. First of all, nannies and parents alike need to make sure that as they are moving through doorways or around the house that the baby’s arms, legs and head are protected and considered in small spaces. Additionally, one must always be aware of the baby’s head positioning so that they can get enough air and breathe easily. When wearing babies on your back, you must think about what they are able to reach that is behind you, above you, or just out of your peripheral vision. Also, you always want to make sure that your carrier is the proper carrier for the age of your infant and is fitted properly. When a carrier is ill fitted, a child can simply wriggle out. Despite these risks, babywearing, when done properly, can increase the level of safety for your child by keeping a child close to you in busy public locations.